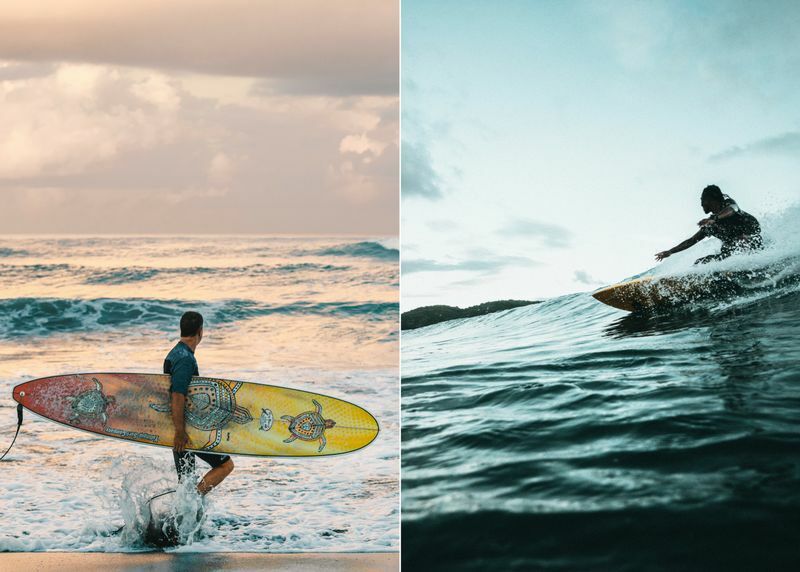 Surfing is a physically (and mentally!) demanding activity, an amazing combination of strength, power, endurance, balance, flexibility, speed, and mental toughness. It is incredibly rewarding, but if you want to tackle bigger waves, your fitness level must be up to par. 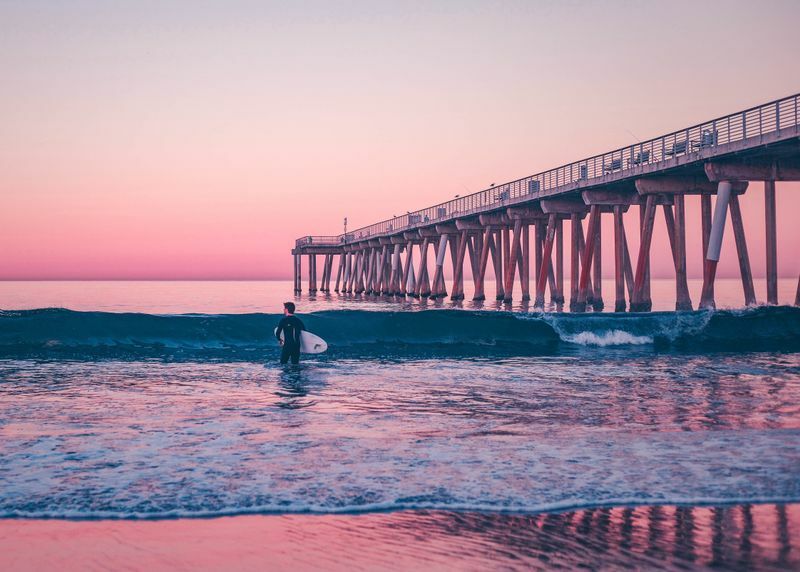 Even seasoned surfers who spend most of their time riding waves stick to specific on-land training and surf nutrition. 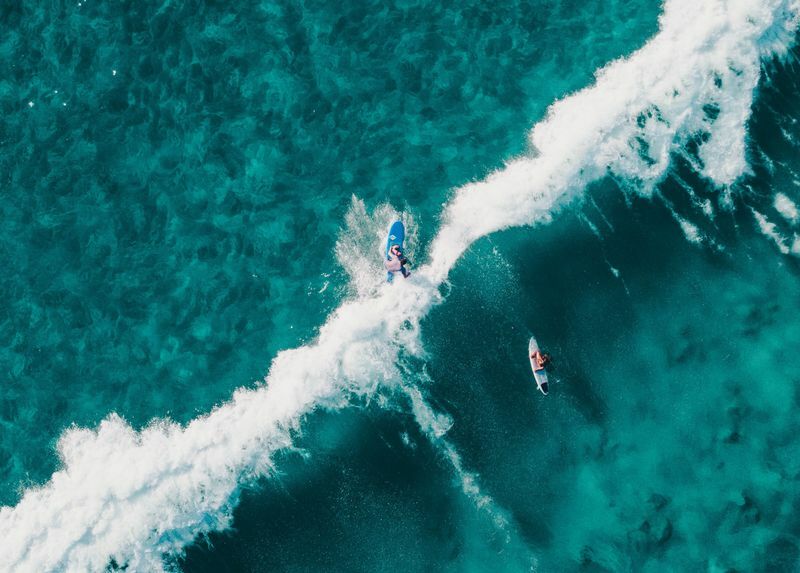 Ready to take your surfing to the next level? Join a surf camp for progressing surfers and you’ll be crashing those green waves in no time! 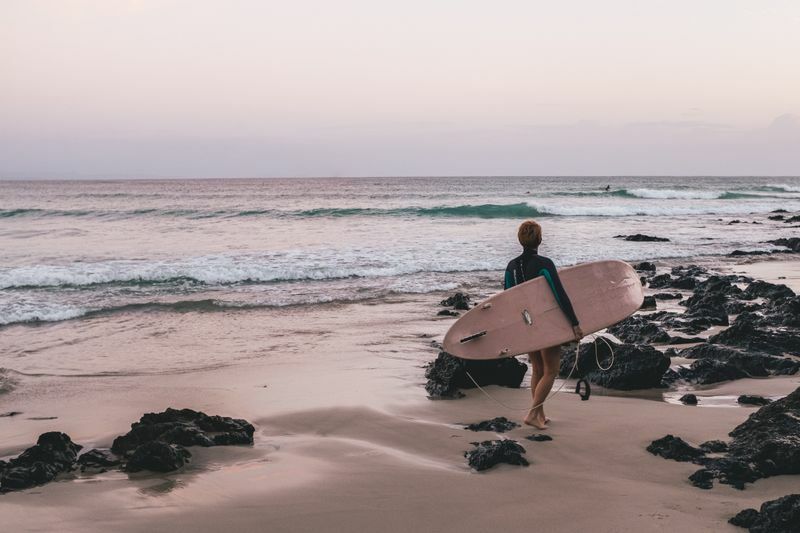 Training for surfing can be tricky – you must exercise on land to perform in the water, imitating the movements on the surfboard. You need to train your entire body dynamically. 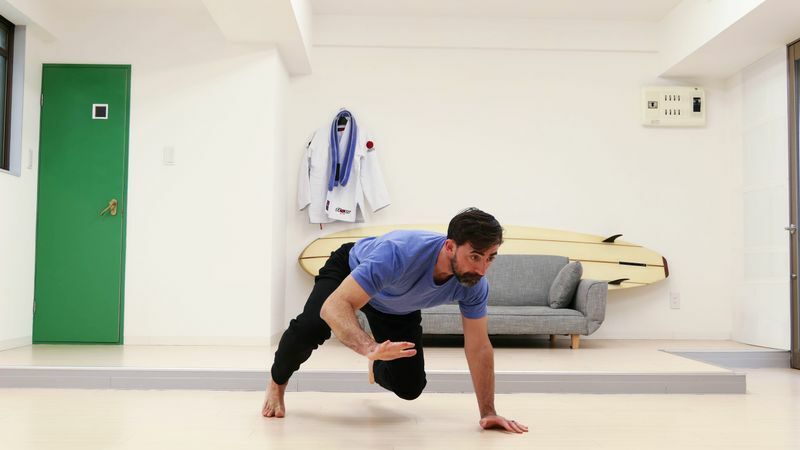 Without further ado, here are 27 surf fitness exercises that will improve your surfing and boost your athletic capacity. Basic squats are a crucial surfing exercise. Even though many consider them leg exercises, they are in fact a full-body workout. The ankles, knees, hips, and spine support a heavy load when surfing, and they need to be strong as hell. Jump-squats – go down into a squat and from this position explosively jump as high as you can. Single-leg squats – stand on one leg and squat as low as you can. You can hold on to something for support until you get the hang of it. Bulgarian split squats – stand straight and raise one leg on a chair/bench/box behind you. Bend your front knee and lower your back knee towards the ground, going as low as you can and keeping your back straight. For an extra challenge, add some weight (dumbbells or kettlebells). Barbell squats – stand with your feet shoulder-width apart. Holding the bar across your upper back with an overhand grip, squat down and repeat. Braced squats – hold a weight plate in front of your chest with both hands, arms straight. Perform a squat while keeping the plate in place. 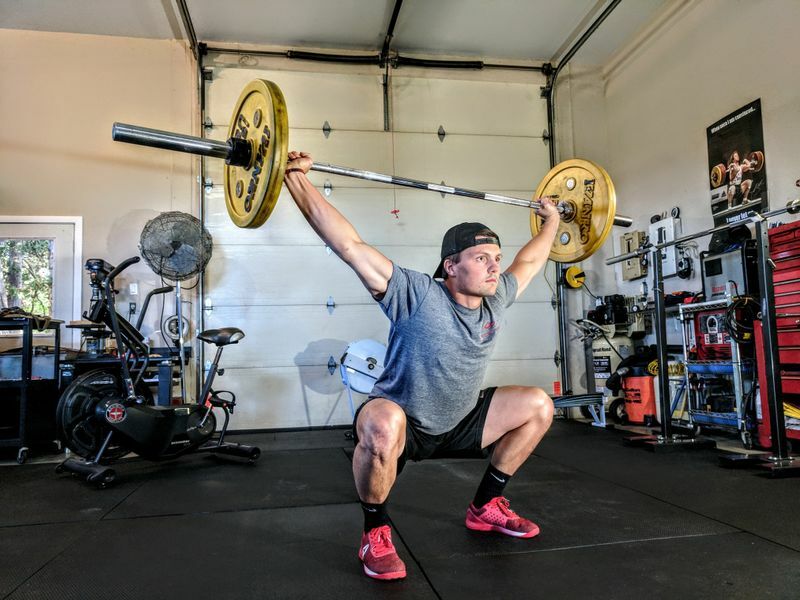 Turkish get-ups are now more popular than ever, and with good reason – they have amazing benefits for your overall athletic ability. Add them to your surf training program for increased mobility, joint health, dynamic movements, stability of the spine, shoulder control, core strength and more. Once you’ve developed skill and precision, add some load – up to 20 kg (44 lbs) for men and 12 kg (26 lbs) for women. Hold a dumbbell or kettlebell in one hand and lie on the ground on your back or in a cradled position on one side. Raise the weight over your face and get up using your free hand for support. The classic, good old basic pushup will never go out of style. Pushups engage your whole body, strengthening the core, aligning the spine and improving shoulder control. When it comes to surfing, a strong upper body means easier pop-ups and duck dives, as well as shoulder injury prevention. Work on alignment first, then on volume (more reps). 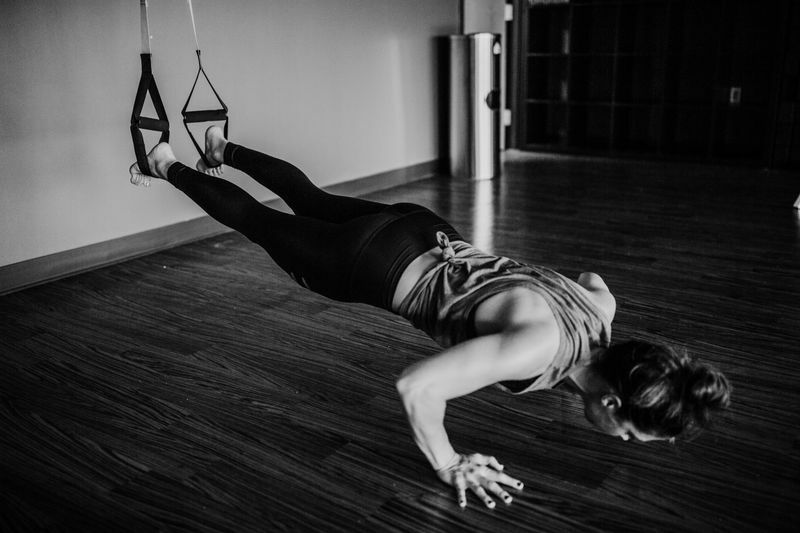 Once you’ve mastered the classic pushup, work your way up to TRX and gym ring pushups. Add weight by elevating your feet or wearing a weighted vest. Improve power by increasing the speed of the press. Ring pushups – the effort you will put into controlling the unstable gym rings adds to the challenge and really works your shoulders. TRX pushups – same as with ring pushups, with the TRX straps you will get more bang for your buck. You can also do pushups with your legs suspended. Dumbbell pushups – hold a dumbbell in each hand and get in pushup position. Do a pushup and then rotate 90 degrees to one side and raise one weight overhead. Repeat on the opposite side. Clap pushups – in pushup position, lower your body until a few inches above the ground. Explosively push yourself back up so that your hands leave the ground and you can clap in midair. Land back in a pushup position and use momentum to perform the next rep.
Burpee pushups – these mimic the movement you do when you catch a wave and have to pop up really fast. To add complexity, land with one foot in front of the other. Look at pictures and videos of surfers and observe their hip and leg positions on the surfboard – hip joints need to move without restrictions. Basic lunges copy the surf-specific leg and hip movements. Dynamic lunges – step forward and into a lunge position. Jump up and switch sides, landing with the opposite foot forward. Repeat until you can no longer maintain proper posture. Overhead walking lunges – hold one dumbbell in each hand or a weight plate, lift overhead and engage your abs. Step forward into a lunge, bending your front knee until your thigh is parallel to the ground. Repeat with the opposite leg. Alternating medicine ball twist lunges – stand with your feet straight and evenly spaced, holding the medicine ball to your chest. Take one step forward and come into a low lunge, twisting your body to the outside of your front foot while keeping the ball in place. Alternating dumbbell split lunges – hold a dumbbell in each hand next to your sides, palms facing each other. Take one step forward with one leg and get into a lunge. Jump up and switch sides. Alternating sandbag lunges – stand tall holding the sandbag with both hands. Step back into a reverse lunge as you rotate your torso and bring the sandbag to the outside of your front foot. Come back and repeat with the other foot. Also known as a stability ball, gym ball or balance ball, this is one of the top fitness tools today. By doing basic exercises on an unstable surface, you improve strength, balance and cardio endurance. Exercise ball dumbbell rotations – hold a dumbbell with both hands and lie on your back on the ball. Rotate your torso as far as you can to one side and then to the other. That’s one rep. Exercise ball dumbbell row – hold a dumbbell in one hand and rest your other hand on the exercise ball. Bend at the hips, your torso parallel to the ground and your back flat. Row the dumbbell to one side. Complete the reps on one side and switch sides. Kneeling exercise ball press – hold a dumbbell in each hand and kneel on the exercise ball. Find your balance and lift the dumbbells to shoulder level. Then, press them overhead. Exercise ball jackknife – get into pushup position, resting your shins on the ball. Keep your torso straight and then draw your knees to your chest, rolling the ball forward. 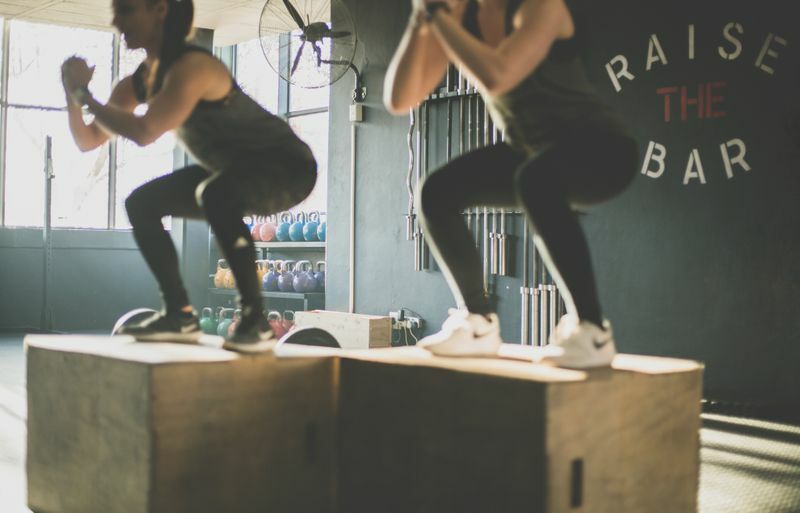 To make this exercise more challenging, keep your knees straight and bring your legs underneath while raising your bum up and rolling the ball forward. A simple yet ingenious piece of fitness equipment, the Indo Board was created by an indoor surfing trainer and is an exciting way to pump up your workout, improve your balance, and build core strength. Indo Board pushups – get down on your knees and place your hands on the outer edges of the Indo Board. Lift your knees off the ground and move your feet a bit further back. Find your balance and do as many pushups as you can. Indo Board squats – when surfing, you’ll need to get low on the board and be able to generate a lot of power through your legs. This Indo Board exercise will help you apply that power evenly. Stand with your feet on the outer edges of the board, with your hands in front of you, and give me some good old squats! Medicine ball wood chops – stand on the Indo Board with one foot only. Hold a medicine ball with both hands and move it from one side of your waist above your head to the other side of your waist. Repeat on both sides. This exercise helps maintain your balance while training the same muscles used when riding your board. Kettlebell clean and press – stand on the Indo Board with your feet shoulder-width apart. Hold a kettlebell with one arm between your legs. Lift the kettlebell up to your chest. Twisting your arm, bring the kettlebell to your shoulder and lift above your head. Return to the original position; this counts as one rep. The above exercises alone are not enough to make you a better surfer. They are simply meant to make you a fitter, stronger and more physically capable person, which will definitely allow you to brush up on your skills in the water. Training for surfing is not just about improving your physical state and becoming leaner and more flexible. 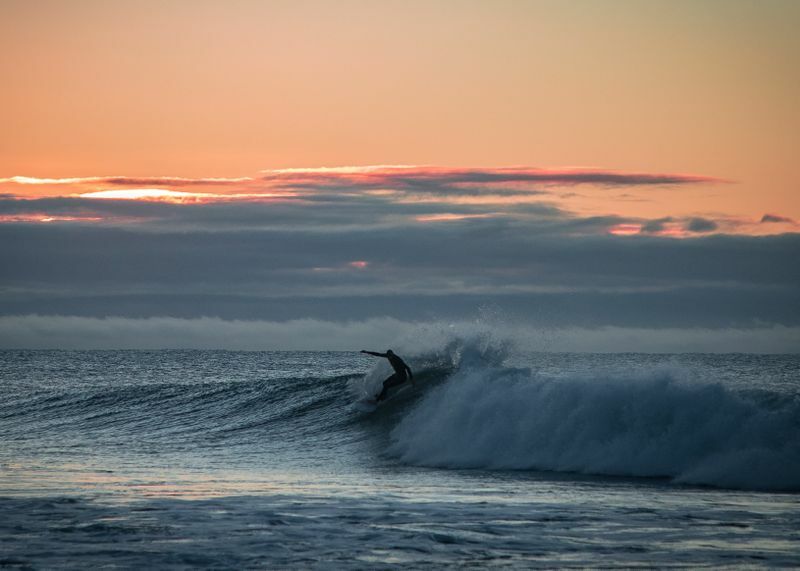 You need patience, mental strength, and a lot of motivation to become a true surfer. Congratulations, you’ve finally realized that in order to surf better you need to get into the best shape of your life. Include the above exercises in your workout routine and get ready to see improvements on your next surf trip.